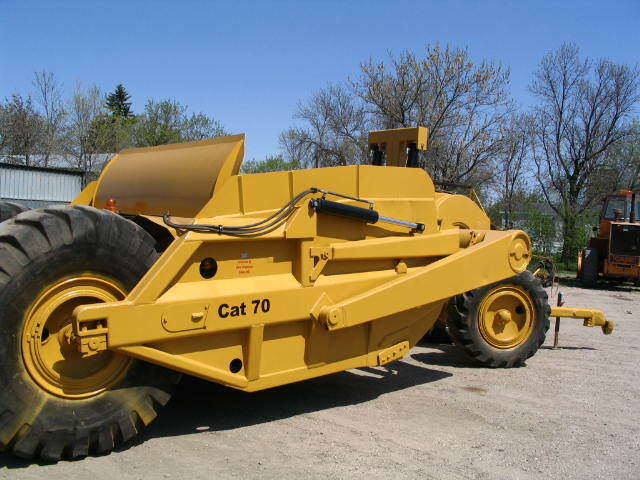 The Cat 70 flat bottom is 11 yards level and 13 yards heaped, weighing 20,150 pounds. The width of cut is 8' 6". Tires are usually 16:00 x 20 or 16:00 x 24 on the front, and 18:00 x 24 or 21:00 x 24 on the rear. We put 12" sides on them to make them 15 yard scrapers. 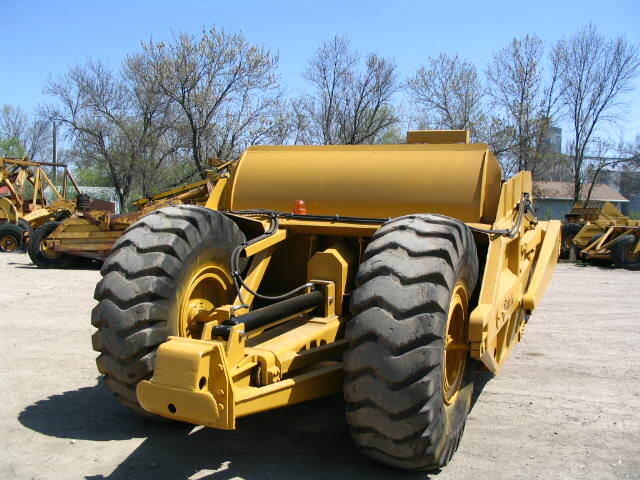 The scrapers are converted over to hydraulics, sandblasted, repainted, and completely refurbished.